Full-Time Employees: 1, serving approximately 25-40 young adults per year. Description: Nonprofit youth and young adult leadership and development program. 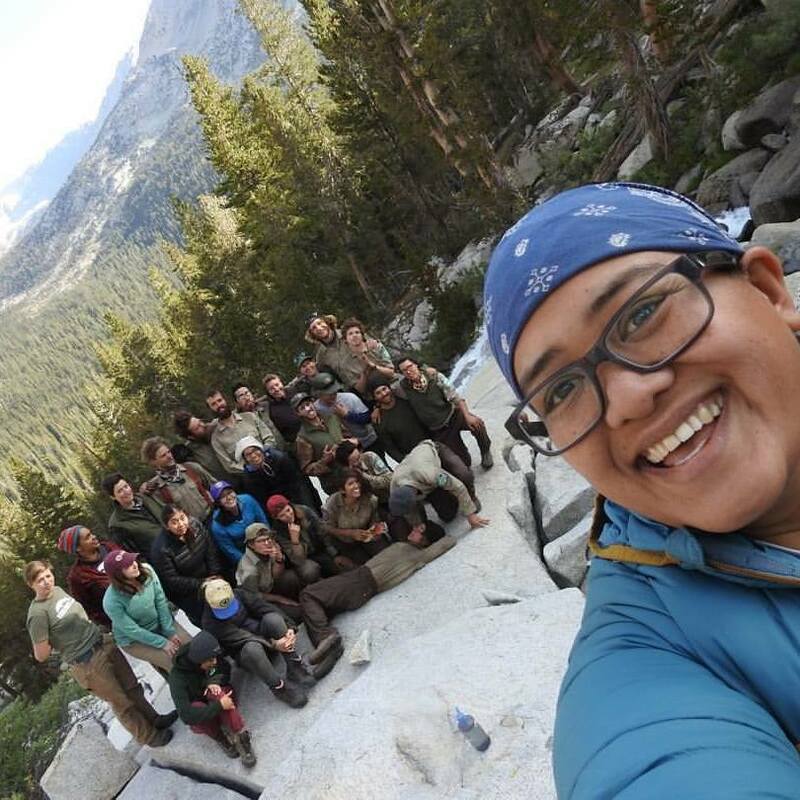 Claim to Fame: First all-women trail crew to work in Sequoia and Kings Canyon National Park, ancestral home of the Southern Paiute and Southern Mono/Monache and featured in this video. Mission: Eastern Sierra Conservation Corps (ESCC) is a development and leadership program committed to building a more inclusive community. We provide opportunities for youth and young adults from priority populations to experience and better understand wilderness and the outdoors by providing a transformational and immersive backcountry experiences. Our members break boundaries, learn about themselves and others, and form a deep appreciation of public lands through 8-day introductory trips, an 8-week trail crew season, or 16 weeks as a member of our immersive wilderness leadership training program. When we’re not working, we’re: Likely still enjoying the outdoors in some form! Inclusion in the outdoors matters because: The outdoors truly belongs to all of us, we need to recognize the history of our lands and where it is going. Our work trains the leaders of tomorrow. We have the hard conversations about equity, diversity, and inclusion. About accountability, integrity, and on the attention to our intentions. Self-care is important, we learn what it means and how to execute it. We contribute by doing our fair share in camp and at work. We are up before the sun rises and sleep after it sets. We forgive ourselves and each other. We engage with each other, without technology. We cannot belong to this community and not be active, it doesn’t work that way. We serve youth and young adults who would not in any other way find themselves - figuratively and literally - looking out at a landscape of high alpine lakes and mountains 15 miles away from any paved road. Even if they never set foot on a trail again, the lessons learned while having to carry everything you need to survive on your back will never leave them. They come to learn, to be an active and engaged member of the community and be intentional. We hope we can continue this work in all the ways possible.